Fort Lauderdale, FL. 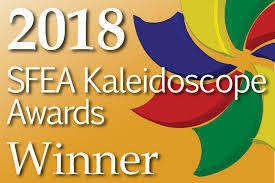 – Blue Truck Productions, Inc. (Blue Truck®) was among three 2017 Winterfest entries to bring home awards from the Southeast Festivals and Events Association’s (SFEA) Kaleidoscope Awards. Winterfest, Inc. engaged Kristin Pelletier of Blue Truck to create a digital invitation to the organization’s primary fundraising event, the Seminole Hardrock Winterfest Black Tie Ball. Broadway Across Americas provided the soundtrack and footage from the award-winning Broadway production, “Jersey Boys,” Pelletier scripted and edited the resulting 45-second video invitation, which won silver in the Kaleidoscope competition. The video aided the organization in hosting a sold-out event in December 2017. The SFEA awards were announced Feb. 26, 2018 during the association’s annual conference in Murfreesboro, TN. Other Winterfest winners included a silver award for a poster painted by local Fort Lauderdale artist, April Renee Kirk, and the Bronze award for the Parade’s television commercials, produced by WSVN, Channel 7. Blue Truck Productions is a Florida-based corporation specializing in video marketing and video production services, offering a single-source solution for content development and distribution. The company works with customers from around the globe and from a variety of industries including healthcare, pharmaceutical, enterprise, entertainment, education and political, among others. For more information visit www.bluetruck.tv.